The cutting edge of flooring for 2015 is an old favorite with a modern twist. Porcelain has long been admired for being durable, easy to clean, and beautiful. 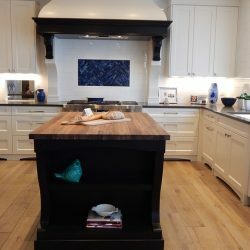 But the upscale new looks are finding favor with homeowners in places like Brooklyn, Queens, and Manhattan, where style matters. Get the urban appeal of a sleek concrete floor without the maintenance hassle. Concrete look porcelain tile won’t chip, stain, or absorb water, and it has a more uniform color tone than concrete. This is a great tile for a Brooklyn loft, retro reclamation in Queens, or upscale Manhattan apartment because it brings a hip urban vibe to a room. Concrete look tile is found most commonly in kitchens and baths, but it can be used throughout a dwelling. When using concrete look tile throughout it helps establish a cool modern atmosphere. One of the newest styles of porcelain tile might look too good to walk on at first glance. Home Art Tile offers two fabric look tiles that your guests will want to reach out and touch. The linear pattern gives a room a softer look, while still providing an extremely durable surface. This is a popular choice in bedrooms and living or dining rooms where a warm feeling is desired in the room. However this fabric look tile also matches up nicely when it meets a wood flooring, and is often used in bathrooms that abut common areas finished in wood. Fabric look tile looks great when laid with minimal grout lines, for a seamless look. Truly on the cutting edge for 2015 is metal look porcelain tile. Offered in two shades, Jupiter Iron and Saturn Coal, this tile offers a truly unique high end finish demanded by clients in areas like Manhattan, Brooklyn, or Queens. The rich reflective patina and depth of character make it a natural choice for anyone who wants their home to make a statement. Metal look tile is a great choice for kitchen and baths, but can be used in any room where a strong masculine sense of style is required. When paired with stainless steel appliances in a kitchen, metal look tile brings a sense of smart and cool luxury to a space. Stone look porcelain tile is one of the more classic, timeless looks available in flooring. 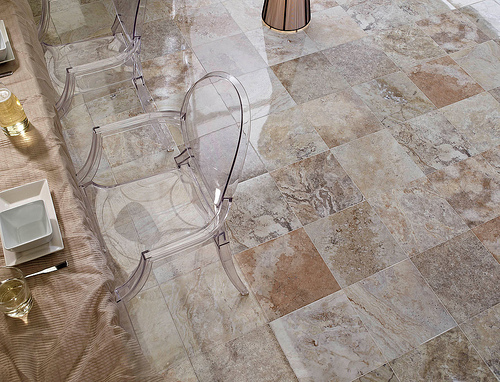 Yet porcelain flooring offers significant advantages over natural stone. Tile is more durable and requires less maintenance than natural stone. Variations in tone and pattern can be controlled when making tile. And although nature can make mistakes and include imperfections in stone, this risk is eliminated when using stone look porcelain. Home Art Tile offers a wide variety of shades and textures to suit any decor from Brooklyn to Queens, or even Manhattan. 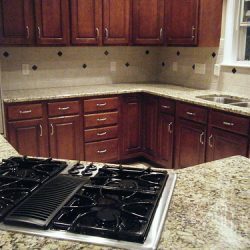 Stone tile is most commonly used in traffic areas, kitchens, and baths. But a whole house installation offers a refined and timeless look that will never go out of style. If you like the rich look of wood flooring without the upkeep, wood look tile is a great solution. Never worry about damage from wear, moisture, insects, or heavy furniture with wood look tile underneath. 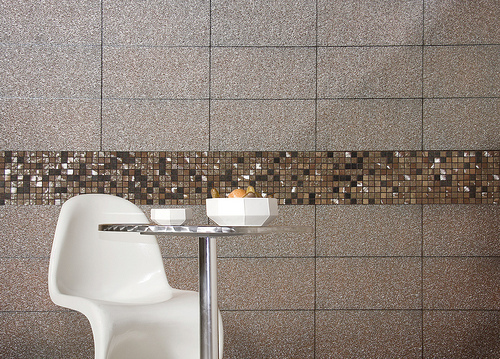 This tile is a natural choice for bedrooms, traffic areas, and common rooms. But thanks to the impermeable nature of this tile, it is also a great choice for kitchens and baths. It’s never been easier to get a classic look throughout your home than with wood look tile. There are a range of shades available that will suit any decor from Manhattan and Brooklyn to Queens. Home Art Tile has all of these types of tiles for 2015 in stock at our Queens Showroom. Come see for yourself the top quality porcelain tiles and experience our commitment to customer satisfaction. We have a huge selection of the best products, friendly service, and competitive prices.